No country alone can solve the development challenges of a continent made up of 54 countries. Conflicts spill over boundaries. Disease is not stopped by border controls. And climate change doesn’t carry a passport, write Jan Vanheukelom and Bruce Byiers. Jan Vanheukelom is a senior advisor on political economy and governance, and Bruce Byiers is a senior policy officer on economic transformation and trade at ECDPM. In an age where the Internet rules and we are more connected than ever, it is hard to believe that countries still struggle to trade with their neighbours. The decades following independence brought countless policies and political statements in support of regional integration in Africa to address these regional and continental challenges. On the surface it appears to be a key issue for many. But the reality is very different, with a distinct lack of implementation across Africa. 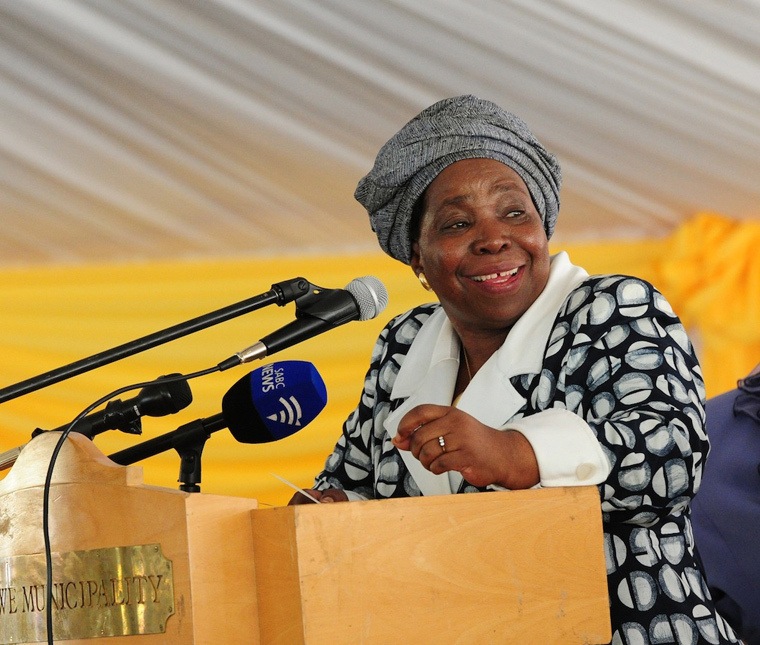 Even the chairperson of the African Union, Nkosanzana Dlamini-Zuma, has noted that while there are plenty of policies, the problem lies in implementation. This creates growing frustration with the gap between commitments and what takes place on the ground. In our recent study on regional integration, PERIA (Political economy of regional integration in Africa), we looked at Africa’s six largest regional organisations, including the African Union, to better understand why this is and, in response to recent calls for ‘Doing Development Differently’, to see how regional integration can be ‘done differently’. Many regional agendas remain purely aspirational, as African Union member states or their ruling elites see little interest in empowering – and paying – the regional organisations to monitor and ultimately enforce implementation or punish member states for non-implementation. There is also very weak organised demand from civil society and the private sector, lowering the political cost of non-implementation. In Africa, the big players on the bloc rule the roost. Powerful countries such as Nigeria, South Africa and Ethiopia have more political and economic clout when it comes to driving and blocking regional dynamics and institutions. Personalities also wield power. The influence of charismatic regional leaders, as heads of regional organisations, can shape the implementation of agendas. Donors also influence the process. The EU – including the EU institutions and a number of EU member states – is the largest supporter of Africa’s regional organisations and programmes. Donors pick up a large share of the regional bills, representing at least half of the combined operational and programme costs of regional organisations. But poorly managed and targeted aid is partly to blame for leading regional organisations to ‘signal’ intent when genuine commitment is not in fact present. It is also partly responsible for ‘agenda inflation’, with more and more areas added to the ‘to-do’ lists of regional organisations, resulting in reduced ownership as ‘support’ to regional agendas overflows into steering agendas. This results in missed opportunities to genuinely strengthen the institutional functions that are pivotal for the governance of regional organisations. How can this be done differently? There is one major exception to these findings, and this can be found in peace and security. The African Union and some of its Regional Economic Communities have set clear mandates to deliver on peace operations in a number of unwieldy, violent conflicts. The African Union can even sanction member states that violate the constitutional provisions on the transfer of power. Peace and security has more support from member states than other sectors such as trade, infrastructure development or climate change. National ruling elites have stronger vested interests in maintaining stability or preventing violent conflicts as, in contrast to other areas, the costs of inaction are high; though there are also examples of national elites that turn a blind eye to – and even support – insurgents in their neighbouring countries. There are also other anomalies. Critical junctures such as natural disasters and political and other crises can trigger progress, but also block regional organisations and dynamics. The initial relative success of the Southern African Power Pool can be traced to a fortuitous combination of conditions in the mid-nineties related to drought, post-apartheid dynamics and surplus production by South Africa’s state-owned monopoly producer of electricity. All this highlights the need to be more conscious of the political-economic drivers and obstacles to regional cooperation and the need for support strategies to take these into account. This of course will not be quick or easy. Rather than taking a one-size-fits-all approach – something which cannot work in a continent with such economic and geographical variation – there is a need to focus on designing policies and support programmes that represent a ‘good fit’, better building on cross-country and regional cooperation where there is political, economic and administrative alignment of interests and traction. What can a policy-maker do? We propose starting from ABC…Doing regional integration differently firstly requires that Ambitions be revised. Aspirational agendas serve a purpose, but should not be seen as the be all and end all for policy-makers – aiming too high can also be a source of frustration. Rather, policy ambitions need to be set according to a realistic understanding of actors and interests, and therefore where there is genuine room for manoeuvre. In turn, this requires more attention to Brokerage between the wide range of different actors and organisations that can help build in-country and cross-country coalitions to support problem-solving and the creation of regional public goods. Finally, it also requires identifying and working with influential Champions in these demanding regional processes – at both the technical and political levels. Though by no means quick or simple, only such an approach will serve to further regional agendas and deal with the large development challenge facing the African continent and its people.